On Wednesday night our team were treated to a fabulous evening at The Lansborough Hotel hosted by one of our holiday partners, the multi award winning, Elegant Resorts. When searching for a holiday on-line you can find an endless amount of choice, in fact at times this choice can be over whelming. At Scott’s Travel we partner with some of the world’s most prestigious travel companies, such as Elegant Resorts. This partnership allows us to offer our clients a superior level of guaranteed service and luxury, there will be no doubt as to what you can expect from your holiday. Furthermore, the long-term relationship we have built up with Elegant resorts allow us to provide you with exceptional offers, adding true value to your luxury holiday. Elegant Resorts portfolio includes hand-picked hotels, resorts, villas and private islands, across the globe and we are confident that we can match our client’s needs and expectations to their perfect holiday. 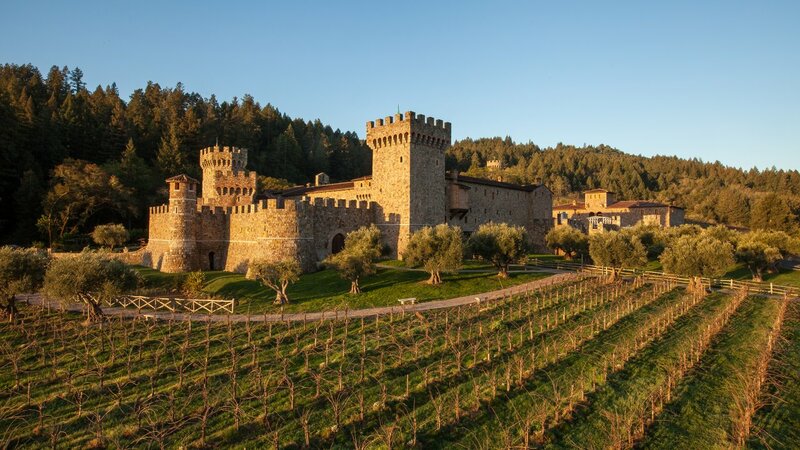 Napa Valley – nestled in the hills of California Napa Valley has much more to offer than just great wineries. Discover, Michelin-star restaurants, healing spas, cultural arts, outdoor recreation, and stunning rail journeys. Take in the sights of San Francisco and then leisurely enjoy Napa Valley a real haven for all foodies and wine connoisseurs. Ask us for more information. Castel Monastero in Tuscany. Located in the stunning setting of one of Italy’s most beautiful regions, stands Castel Monastero, a tiny 11th Century medieval hamlet just 23km from Siena. The collection of rooms, suites and villas are the ideal place to rediscover harmony and balance. Detox, weight loss and pure relaxation and luxury are offered at their new concept Spa. Avalon Waterways were proud to show case their inspiring Vietnam, Cambodia and the Mekong River cruise, a popular destination in recent years for many of our clients. Their suite ships allow you to experience exceptional personal service. With a maximum of 36 passengers the cabins are climate controlled, generous in size and beautifully decorated. All beds face the wall to wall window so you never miss an opportunity to take in the break taking view. This truly is intimate cruising at its best. Ask us for more information on their Asia and European adventures. Our team went on to enjoy an amazing three course dinner and the evening was topped off when our very own Anne won a two night stay in the Jumeirah Port Soller Hotel & Spa, Mallorca. Another Elegant Resort destination built on a cliff overlooking the fishing village of Port Soller and surrounded by the Tramuntana mountain range, a world away from the stresses of modern life and just a 25-minute car transfer from Palma International Airport. Watch this space for her holiday snaps! You can feel confident when booking a holiday at Scott’s Travel that our expert travel advisors have your best interests at heart. The enjoyment of booking a holiday really starts as soon as you call us or visit our shop, we are here to deliver the very best in travel at the best possible rates. Castel Monastero is a very good place, that you can experience their the medieval period feelings.